Eat an oyster, save a life! Yes, you read that right. Welcome to Weird History of the 757 where we tell all the weird and cool things that happened in the area. Tune in every Friday for a new weird fact about Hampton Roads! All right, Hampton Roads! Did you know we have a whole species of seafood named after our area? Yes, indeed. The Chesapeake Bay oysters (or Crassotrea virginica) are our very own native sea dwellers. 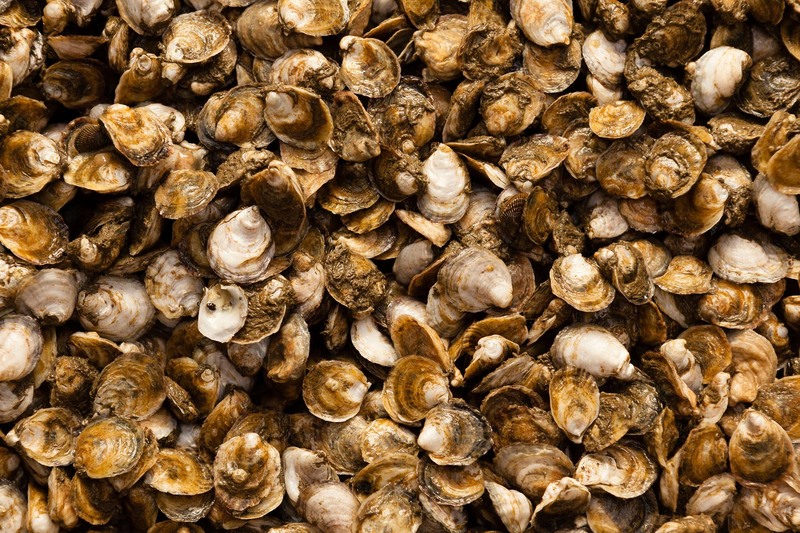 In fact, there's evidence that Chesapeake Bay oysters have been eaten since 2500 B.C. Our oysters are kind of special -- they are bigger than most found on the Eastern seaboard due to the warm water of the bay, but they're not quite as big as oysters you find in the South. This makes sense because, as they say, "Everything is bigger in Texas." Even though Chesapeake Bay oysters don't make pearls, they are the Roombas of the ocean. They clean the water, which can be a thankless but important job. Around the time the Industrial Revolution hit Hampton Roads, a lot of the reef in the bay was destroyed, and the homes of the oysters were taken away. There was a decline in the clearness of the water in the bay, and the sea life population went down. Ever since then, the oysters have been making a comeback. There have been times where scientists have planted oysters in the bay to help their population grow. The Chesapeake Bay is even featured on What is Missing, a website where you can see the ecological history of the world. In 2018, there was so much rain that the bay was washed with a lot of runoff from the land around it, and this brought too many nutrients to the water. It also carried pesticides that hurt the oysters, and many died off. Shortly after that, we planted "oyster" castles in the bay to aid these little Roombas and add more of them to the water. I thought this was extremely interesting: oysters like to grow on cinderblocks! So the oyster castles that were planted were made up of cinderblocks, and some included oyster seeds to help enrich the oyster population. As a result, this year looks amazing for oysters already, even though they are still battling with the elements. Now, I'm sure there are some people thinking, "What if there are too many oysters in the Chesapeake Bay?" Well, that is where the locals come in. Even though Chesapeake Bay oysters are one of the most popular on the Eastern seaboard, the locals can still enjoy them. Next time you find yourself at a seafood restaurant, ask if they have Chesapeake Bay oysters. Not only does this help keep the ecosystem going for our bay, but it is also a tasty treat. Have you been to the Chesapeake Bay? Are you an oyster lover or not? What other weird facts about "The 757" do you want us to explore? Tell us in the comments!